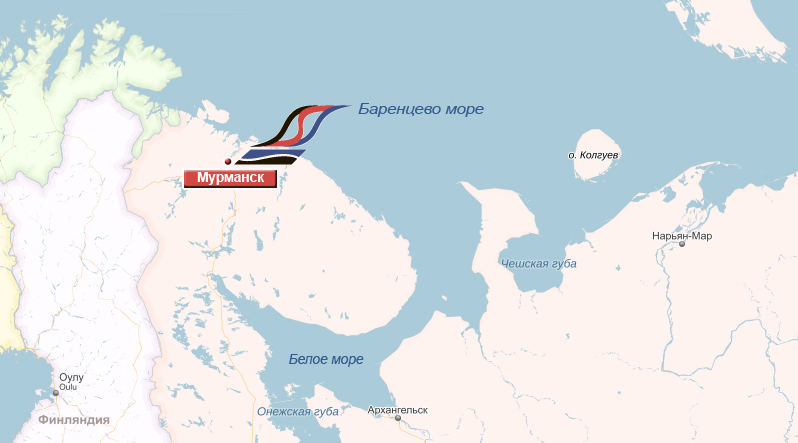 Upon the order of LLC “Karmorneftegas” and to support construction of exploration well on licensed field Vostochno-Prinovozemelskiy, JV LLC “Sakhalin-Shelf-Service” established Murmansk Operations Base. Taking into consideration the importance of exploration works on Kara sea shelf, JV LLC «Sakhalin-Shelf-Service» organized and made total modernization of existing port facilities. The company repaired existing warehouse and built new ones, prepared open storage areas, installed mud and bulk plants. Besides, border checkpoint was organized in accordance with norms and requirements of Russian Law. The company purchased new cargo lifting equipment which meets the most modern safety requirements. On its own account, the company provided personnel with training in special institutes with following employment to company’s divisions. Open storage area 45000 м2. Covered warehouse areas 2500 м2. Port crane, capacity 32 tns. Mobile cranes, capacity 90 and 160 tns. Telescopic loader, capacity 4 tns. PERSONNEL: up to 100 people.